And our album of the week? This Is Glue by a mile. Admittedly, long-time readers of the blog won't be shocked to discover that we have enthusiastically embraced the latest album by New Zealand's Salad Boys, but we stand by every one of the many words of praise we have devoted to them over the past several years. And on this edition, the guitars ring and jangle while the rhythm section provides a buoyant platform for Joe Sampson's creations. While the themes are serious, and at times anxious or bitter, and the tone melancholy, the soundtrack splices Flying Nun history with a college rock and a supercharged splinter of Teenage Fanclub, creating guitar pop anthems for the modern age. And not content to only rock out, the band displays a deft touch with more wistful tracks such as "In Heaven" and "Going Down Slow" as well. While the hooks are plentiful and the arrangements well-conceived, the songs are just shy of a full coat of polish. 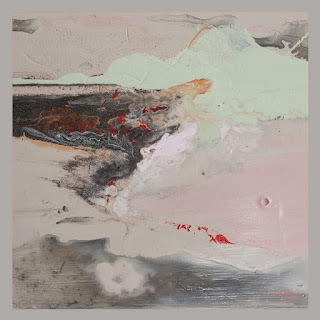 Far from a flaw, the slightly rough surface strikes us as a deliberate production choice -- a decision to allow the aural aesthetic mirror the gritty reality of the compositions. This Is Glue is available on CD, vinyl and digital formats via Trouble In Mind Records. We have been fans of Edinburgh's Young Fathers since we first heard their early EPs, Tape One and Tape Two. In our view they are one of the most consistently innovative and provocative pop groups on our radar, and they never fail to impress. 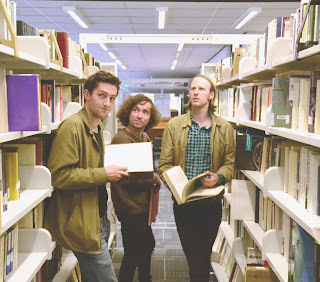 On March 9 the trio will release their new LP, Cocoa Sugar, via Ninja Tune and you can listen to album tracks "In My View" and "Lord" right here, right now. Since the bands visual sense also is remarkable, we have added the videos for both tracks. We think you will want this album. Young Fathers are Alloysious Massaquoi, Graham 'G' Hastings, and Kayus Bankole. 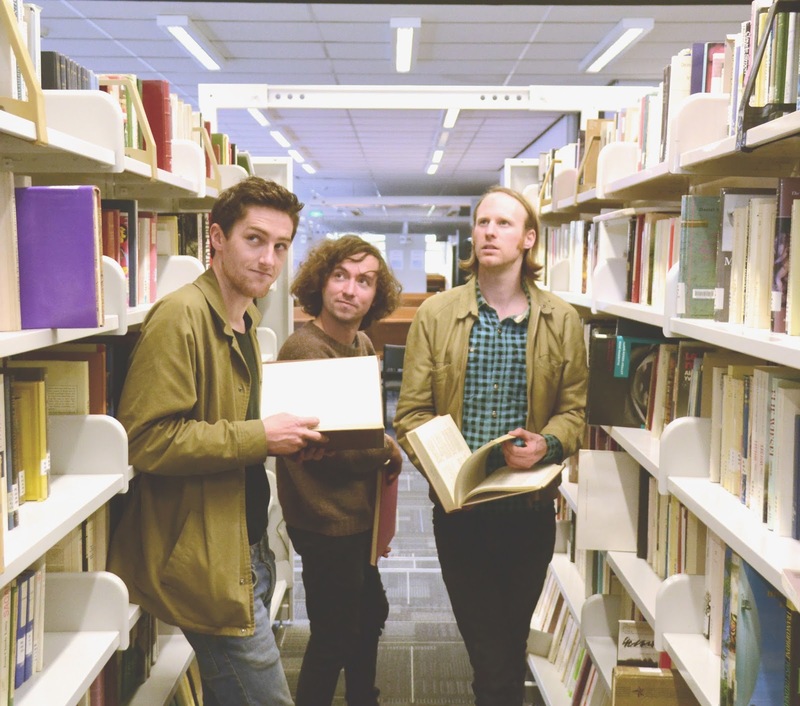 There are bands that try to mark their spot on the pop music landscape with arty pretense and deep thoughts. And then there are bands such as Shame. The five-piece is comprised of long-time friends who decided to become a rock band rather than accountants, shopkeepers or Tory politicians. And based on the evidence of their new devotional set of music, Songs of Praise, we think they made the right choice. The landscape this lot has chosen is the wilds of young London, where one finds gritty reality, self-depreciating assessments and real-life tales of life for the lucky and the not-so-fortunate. And the musical score is a muscular, angular, and buzzing post-punk that sounds about as vital as anything else you can find on the scene these days. 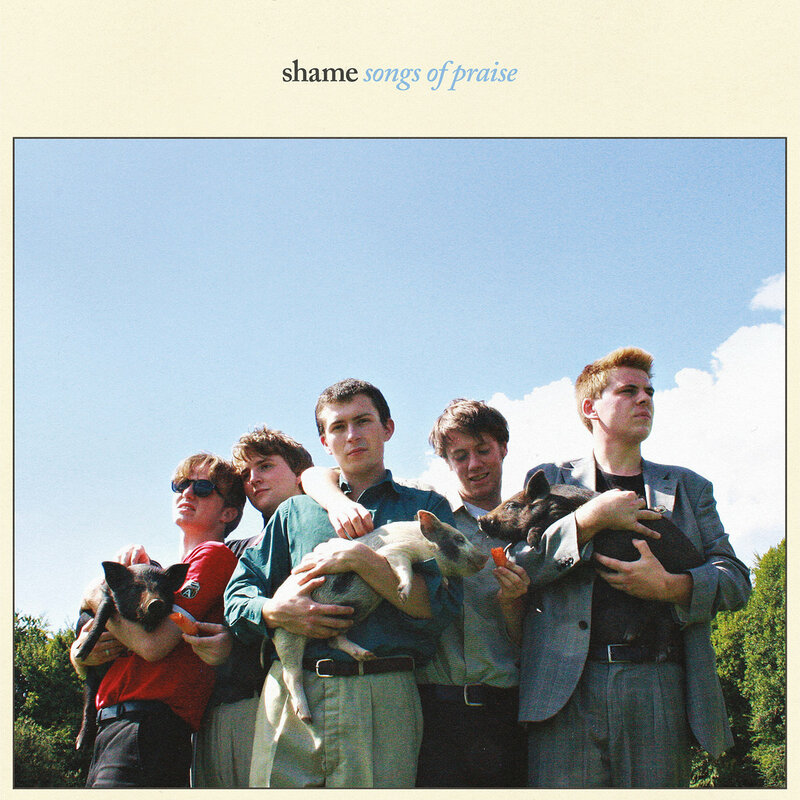 Shame understands that the best rock is a physical experience, and they provide the energy and performance to ensure the listeners get their money's worth. And yeah, it is a bit raw in words and sound, but the only way to deliver this kind of music is raw and breathless. Our favorites songs are "One Rizla", "The Lick", "Tasteless", "Gold Hole", and "Friction", but the whole album is excellent, and deserves your ears. Shame are Charlie Steen (vocals), Sean Coyle-Smith (guitar), Eddie Green (guitar), Josh Finerty (bass), and Charlie Forbes (drums). Songs of Praise is out now via Dead Oceans. See the links below.